And with this last non-anime entry, I’ll be getting back to posting recommendations for actual anime series and films shortly. 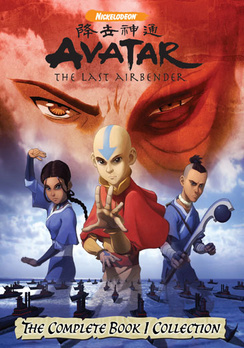 What it’s about: The follow-up to the massively popular Avatar: The Last Airbender, The Legend of Korra follows Aang’s successor: a headstrong teenage girl from the Water Tribe named Korra. While she lacks Aang’s spiritual centre, she nonetheless excels in the more physical aspects of her identity and is eager to begin fulfilling her duty as the Avatar. Blocking her progress, however, is her ongoing struggle with mastering the fourth and final elemental magic of Airbending. With the only surviving airbenders housed in Republic City, far away from her childhood home in the Water Tribe, and with mounting rumours of civil unrest requiring the attention of the Avatar, she sets out to find her destiny. Why you should watch it: In one sentence: it’s a more grown up version of A:TLA. The morality is more ambiguous, the conflicts less one-sided, and the characters older and explored in greater depth. At the same time, it doesn’t hesitate to draw heavily on the established lore and the fantastic visuals and soundtrack of its predecessor. Korra herself is an interesting character. Her inexperience with diplomacy and sheltered childhood causes her to lean heavily upon the combat-oriented aspects of her nature to pull her through any conflict. But this is a new age: a mechanised, democratic age. Is there any place for the “spiritual balance” role of the Avatar today? Caveats: There are a few nits to pick. The writers’ insistence on including a love triangle (until the excellent third season) has a definite negative influence on the plot. Not enough time is given to flesh out the antagonists for the first two seasons, largely due to funding constraints (it was never made clear whether they were getting another season or not). Korra as a character stumbles more than she progresses, falling back into old habits only to relearn the lessons that earlier episodes should have instilled in her. Themes: Spiritual balance, and the ongoing struggle between tradition and modernity. Finding one’s place. Each season has its own motifs and themes, usually personified in the villain character and their particular motivations. Given that this blog is meant primarily as a back-up storage for the blurbs I’m using on Reddit, I’ve been oddly hesitant about putting up those rare examples of stuff *other than* anime that I regularly suggest on /r/animesuggest. That said, I’d be annoyed if I lost them, so I’m going to take the opportunity over the Christmas holidays to upload them here. Trailer: No official ones for Book 1, though this unofficial one works nicely. What it’s about: The world is split into four political factions, defined by their mastery of a particular Classical element (Fire/Water/Air/Earth). Bridging the societal gap is the Avatar – a hero capable of using all four elemental magics, cyclically reincarnating into each nation in turn. One hundred years ago, the Avatar went missing, and the militarised Fire Nation took advantage of his absence to set about subjugating or slaughtering the other nations. The story follows the recently re-awakened Avatar as he seeks to master his birthright and return balance to the world. Why you should watch it: Avatar is that rare fish: a show that, while nominally for kids, has enough witty humour, action, and an intelligent enough plot to entertain adults as much or more. Once the show hits its stride it begins to weave a cohesive story together with fantastically choreographic fight sequences, goofy jokes and character development. The show’s story continues through three seasons and culminates in one of the most viscerally satisfying finales in Western animation. The world, its cultures, and its magic system are all well-realised and explored in depth over the course of the show. Caveats: It takes a few episodes for the show to find the right pace and confidence in itself. Until then, it errs a little too far on the “silly” side for an adult audience (though it’d still be perfect for its target demographic). Theme(s): Balance (physical/spiritual, emotional/intellectual, etc). Moral courage. Living up to expectations. 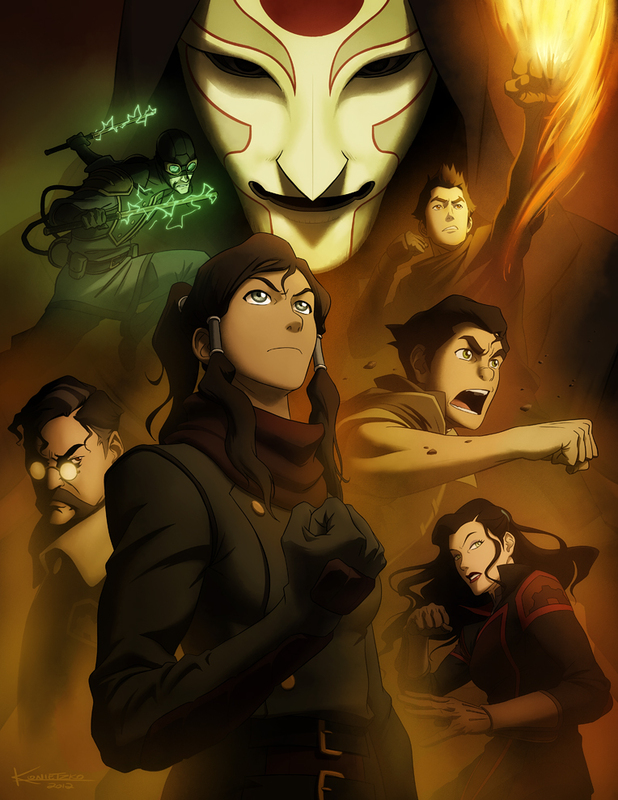 Similar works: The obvious choice would be its sequel, The Legend of Korra, which expands on the same themes in a later version of the world. In Japanese animation, shounen such as Hunter x Hunter or Naruto are the closest parallels. What it’s about: Satsuki and Mei have moved to the a new home with their father while their mother recovers in hospital from a chronic illness. It doesn’t take them long to begin exploring the surrounding countryside. Mei soon runs into a series of odd creatures, including a bus-sized cat and a monstrously-sized but friendly spirit she names Totoro. Why you should watch it: This is a classic Ghibli film in the truest sense. Totoro manages to capture that sense of wonder, innocence, and the beauty of childhood with no apparent effort. There’s no fighting, no evil villain or manipulative stepmother, but the narrative flows from one beat to another without losing your interest for a moment or employing any of the cliches of the medium. It’s widely regarded as one of the greatest family films of all time even outside of the anime community, as well it should be. Caveats: While I quite like the 80s animation aesthetic, I acknowledge that it’s not for everyone. 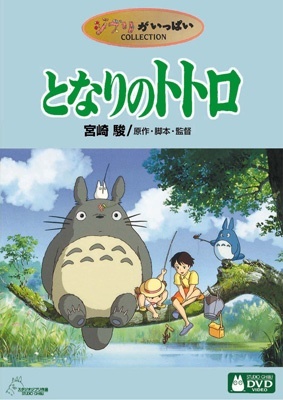 This is also the lightest and most ‘fluffy’ of Miyazaki’s films. It’s deeper than it looks, but it’s still at its heart a children’s movie. Themes: The beauty and wonder of nature. Childhood and family. 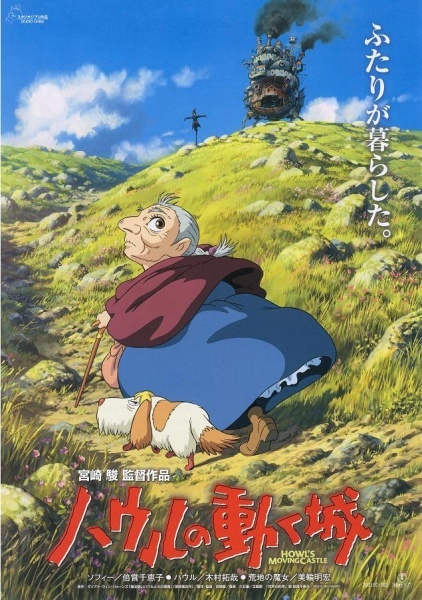 Similar works: Howl’s Moving Castle or Castle in the Sky within Ghibli canon. Trailer: There isn’t one for Buta alone, but here is the general trailer for the four collected shorts. Why you should watch it: Buta is a fairly standard “odd couple” show, with the personalities of the two protagonists rubbing up against one another in fairly funny ways. This isn’t an overly serious piece – it’s pretty much perfect as a short movie to sit down and watch with your kids. The larger-than-life characters, bright animation, goofy humour and simple storyline make it a fun family adventure. Caveats: The writer seems to forget that they only have twenty minutes to work with, leading to a rather abrupt cut-off. Themes: Living up to expectations placed upon you. 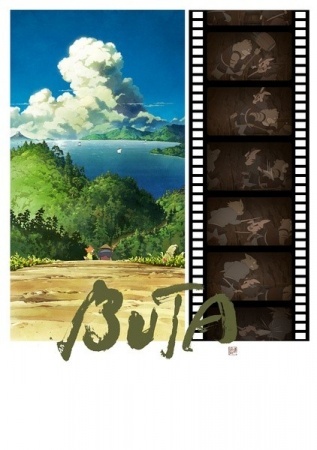 Similar works: Buta would fit in well with the early Disney canon. All it needs is a few musical numbers thrown in. In terms of anime, perhaps Spirited Away is closest. What it’s about: While on the way to their new home, Chihiro’s family stops to investigate an abandoned theme park. Unfortunately for them, the park is home to a thriving community of spirits. 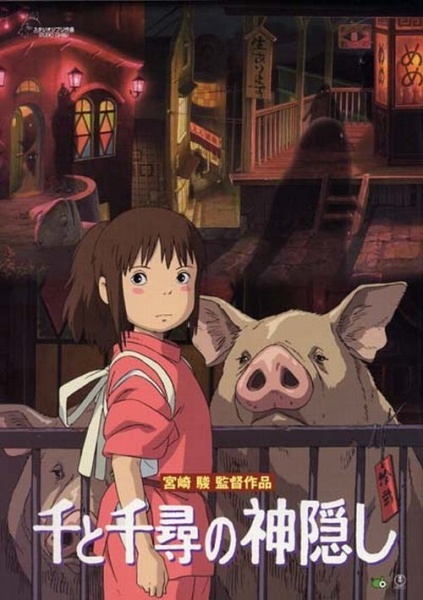 Chihiro’s parents are transformed into pigs and she is left to fend for herself, finding a job as a scullery maid in a spa for spirits until she can rescue her family. Why you should watch it: Spirited Away is one of Studio Ghibli’s crowning achievements. The animation is fantastic and fantastical, the story compelling, and the characters well-developed. If I had to pick one film to represent the best of anime, this would be it. The English dub is also very well-executed. Caveats: The visuals are often straight-up *bizarre*, which might turn off people unfamiliar with the medium. At its heart, it’s a children’s story, so don’t expect something huge with an epic and deep storyline. Themes: Independence and adolescence. That appearances can be deceiving. Similar works: Anything by Studio Ghibli. I’d start with Kiki’s Delivery Service or Howl’s Moving Castle. 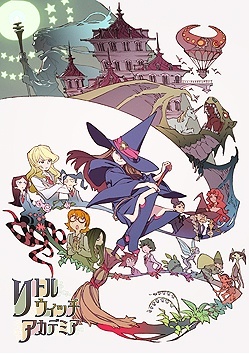 What it’s about: After seeing a demonstration of magic by the lowbrow entertainer-witch “Shiny Chariot”, Akko Kagari has one ambition – to grow up to be just like her! Little Witch Academia is a one-off (for now) short movie showcasing the adventures she gets into after enrolling in the Magic Academy. Caveats: It’s short, and if you enjoy it at all you’re almost certainly going to want more. Themes: Pursuing your dream. Resisting peer pressure. Similar works: Well, start out by watching the other shorts that have come out of the Young Animator Training Program. They’re all wildly divergent in style, but I can whole-heartedly recommend Death Billiards and Ojii-san no Lamp. What it’s about: Kenji receives an invitation from the most popular girl in school, Natsuki, to take a working vacation with her to her family’s home over the summer. What he isn’t told is that the “job” involves pretending to be her successful, brilliant boyfriend. At the same time, the online world of Oz is facing a grave crisis as a hacker seeks to topple the system from within. Why you should watch it: It’s a fantastic family film; both in that it’s got appeal for a wide demographic base and that family serves as the central theme to the whole work. The “real-world” scenes are full of charm and fun, while the “online” scenes pack in gorgeously fantastical visuals and a strong soundtrack, as well as some very unique character designs. The writers tie in the two halves of the film brilliantly, with tension building and crossing between the two until it all comes together in the finale. Caveats: The “online” world makes absolutely no logical sense whatsoever, so it’s probably best to pretend that it’s just straight-up magic rather than a vision of the future of the internet. You’ll have less of a headache and enjoy the spectacle a lot more if you just roll with it. Themes: Social networks, both online and offline. The importance of both family and tradition. What it’s about: Sophie, a quiet girl working in a hat shop, finds her life thrown into turmoil when she is literally swept off her feet by a handsome but mysterious wizard named Howl. The vain and vengeful Witch of the Waste, jealous of their friendship, puts a spell on Sophie. In a life-changing adventure, Sophie climbs aboard Howl’s magnificent flying castle and enters a magical world on a quest to break the spell. Why you should watch it: It’s the archetypal Studio Ghibli adventure film. The story is fun and fast-paced, appealing to both children and adults alike, being both whimsical and deep at the same time. The quality of the soundtrack and animation is first-rate, as is to be expected from Miyazaki. The English dub is well above average, featuring Christian Bale and Billy Crystal, among others. Its a fantastic way to introduce someone to the medium. Caveats: While it’s got broad appeal, it is at its heart a kid’s film, so go in with that expectation. Themes: Appearances can be deceiving. There’s also a strong anti-war sentiment woven throughout, particularly with Howl’s conscientious objection to enlistment in the national army. 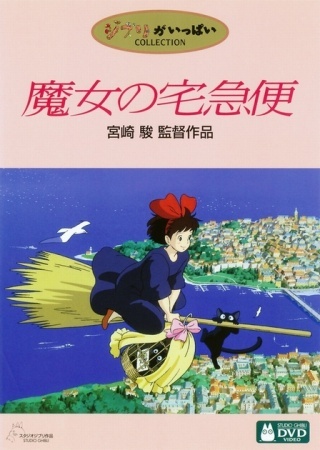 As with many Miyazaki films (Porco Rosso, Kiki’s Delivery Service, Spirited Away, etc), the idea of flight and the wonder and escape that it offers appears, too. Similar works: Anything by Ghibli, though Spirited Away is probably the closest. What it’s about: Hana, a 19-year-old college student, falls in love with a mysterious classmate, only to discover that he’s half-wolf. The romance comes to an abrupt end when the man is killed, leaving Hana to raise their two children alone. 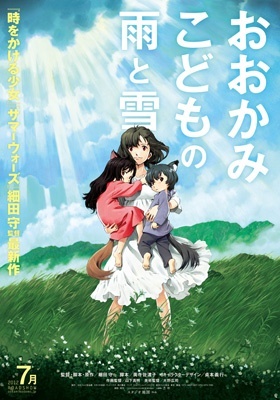 The film follows the family as Hana struggles to bring up her kids without revealing their true nature, with few resources and no friends to lean upon. Why you should watch it: It’s a fantastic story, told well and with utterly believable characters. It’s impossible not to empathise with each of the three protagonists who, despite their differences in personalities, worries, and desires, nonetheless share a familial bond that ties them all together. It’s a story about family, and one that I think has an almost universal appeal even to those who might not otherwise watch anime. Caveats: Very few. Even if you’re not a fan of family dramas I would recommend giving this a try before discarding it. 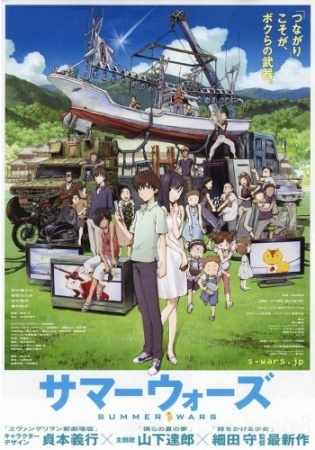 Similar works: Try some of the director’s other works, like Summer Wars or The Girl Who Leapt Through Time. For something with a more thematic similarity, try Usagi Drop. What it’s about: Tradition dictates that every young witch spend a year away from home working on their talents before they can become a full-fledged practitioner. Kiki strikes out with her broom, a handful of cash, and her sarcastic talking cat to find her fortune. With no particular talents other than her proficiency at flying, she starts up a delivery service to pay her own way in the big city, meeting a variety of characters from different backgrounds on her journeys. Caveats: The film is 25 years old now and while the animation still holds up excellently, the age is definitely apparent. It is also, at its heart, a kid’s film, so don’t expect things to get too dark or serious. Themes: Adolescence and letting go of one’s childhood. The conflict between tradition and modernity. Similar works: Within the Ghibli corpus, Howl’s Moving Castle and Porco Rosso are probably the most similar that I’ve seen. If you want something with the same kind of premise and general atmosphere, there’s also Little Witch Academia.